NKU’s new provost, Sue Ott Rowlands, has taught theatre improvisation workshops in Sri Lanka and performed in national acting tours in Hungary. She’s even performed a one-woman show behind walls of a gated community in Saudi Arabia because live performances were not permitted there. In all, she’s traveled to more than 30 different countries – from Uganda to South Korea to Italy to China. And in the United States, she’s worked in places from New York, New York to Columbus, Ohio. Ott Rowlands said all of these places landed her where she is today – as the top academic administrator at NKU. 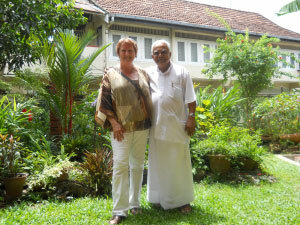 Ott Rowlands has taught in Sri Lanka, Taiwan, New Zealand, Hungary, Italy and many more places around the world. She would sometimes travel during the summer or during the school year for a short break, even taking students, from whatever university she was working at at the time. From 1997-2002 she was an associate professor and head of the acting and directing program at the department of theatre at Ohio State University. Then she served as the chair of the department of theatre and film at the University of Toledo from 2002-05. After that Rowlands served as the interim dean at Toledo from 2005-07, then the dean of the college of liberal arts and human sciences at Virginia Tech from 2007-13. Along with all of these positions, she is the former associate artistic director of Round House Theatre in Washington, D.C. and managing director of The Actor’s Space in New York City. She is the founding artistic director of two professional theaters, Glacity Theatre Collective in Toledo and the Cleveland Women’s Theatre Project. “One of the most important responsibilities for the president, dean or provost of a university is to be able to relate to people from different backgrounds,” Mearns said. Ott Rowlands said that traveling is the single most important thing you can do in your life. She has been able to craft traveling and her career in a way that she can do both. “If faculty and staff study abroad, they can teach in the classroom about becoming a more global citizen,” said Michelle Melish, study abroad coordinator. 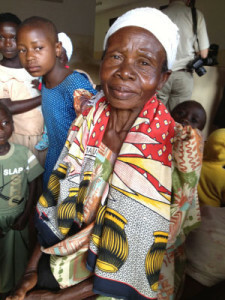 Ott Rowlands said her travels have changed and enriched her life. “I’ve got friends all over the world, how great is that?” She laughed as she explained that they all keep in touch through Facebook. Below are Ott Rowlands top five favorite places that she has visited throughout her lifetime. 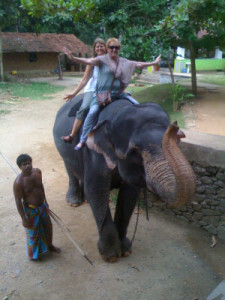 Sri Lanka is provost Ott Rowlands favorite place to visit, she has been there every year for several years. In 2009, they ended a 30-year civil war, and she said there is still some conflict between some of the groups there and the peace is somewhat tenuous. There’s an expanded culture of Buddhism there. There’s also an elephant orphanage in the area that she is very fond of. 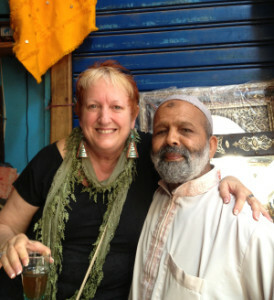 Morocco is Ott Rowlands second favorite place to visit. It’s ruled by a king and has separate Arab and French speaking populations. The language of business there is English while in most of the cities the language most spoken is French. Arabic is used outside the cities and in the Arab parts of cities. Ottt Rowlands said she often stays in a place near the coast, in the old Arab medina that is filled with beautiful courtyards. “Immersing myself in new places, interacting with strangers, listening to languages I don’t understand, smelling new smells, seeing unfamiliar surroundings – all of these things provide a powerful jolt to my daily routine and shake the complacency right out of me,” Ott Rowlands said. When Ott Rowlands visited Transylvania, she was creating a theatre piece. She was there for several weeks living in a small village in the mountains. She said the people there by and large were fiercely Hungarian and speak that language, as well. Ott Rowlands commented that it was “very beautiful and a very simple life.” She laughed as she explained that the mayor had the only computer and the one police officer only spoke Romanian and no one else did. She even got her drinking water straight from the mountains there. 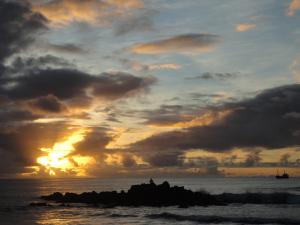 Although Ott Rowlands has only been to Easter Island once, it’s one of her top five favorite places she’s been to. 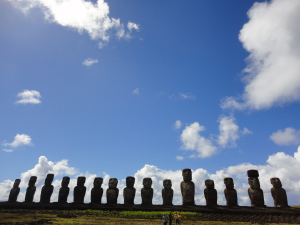 When she was there, she said she was told that Easter Island is the single most isolated piece of land in the world and that it’s the farthest place from any other piece of land. Ott Rowlands laughed as she said that the airstrip is huge though and they made it that way so that a spaceship could be able to land there if it was ever to get into trouble. 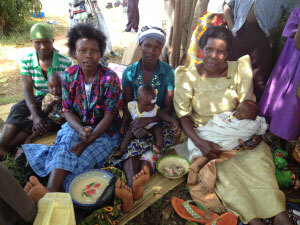 Ott Rowlands traveled to Uganda to help improve capacity building in healthcare. She explained that it’s not her favorite place to visit because it’s an easy place to go to, but on the contrary it’s also a challenging place because of it’s infrastructure and health care systems. “They need medicine, they need doctors, they need Ugandans to be able to provide health care,” she said. She said it’s a country full of wonderful people who are nothing but warm and joyous. Although, there is terrible poverty in the countryside. There are a lot of good people doing the right thing, especially in the area of trying to improve healthcare. According to Ott Rowlands, she likes to travel places that are somewhat challenging to her. “The experience of leaving behind what I know and what makes me comfortable provides a unique challenge, a shock to the system of sorts,” she said. Read the more in depth profile of NKU’s new provost and learn about her daily routine at NKU. The above project is the first of several multimedia web projects that The Northerner is creating as a part of their new media initiative, funded by the Undergraduate Research Council Awards Committee. Reporting for the story was done by The Northerner’s Brook Clifford, in collaboration with several members of the new media team, who worked extensively to tell the story of NKU’s new provost Sue Ott Rowlands. 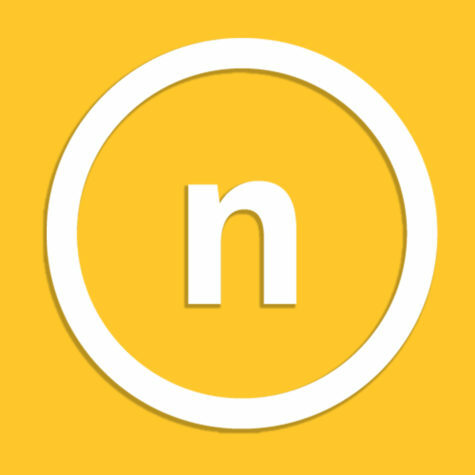 Be sure to check back to The Northerner.com for upcoming web projects in our endeavors toward new media storytelling.